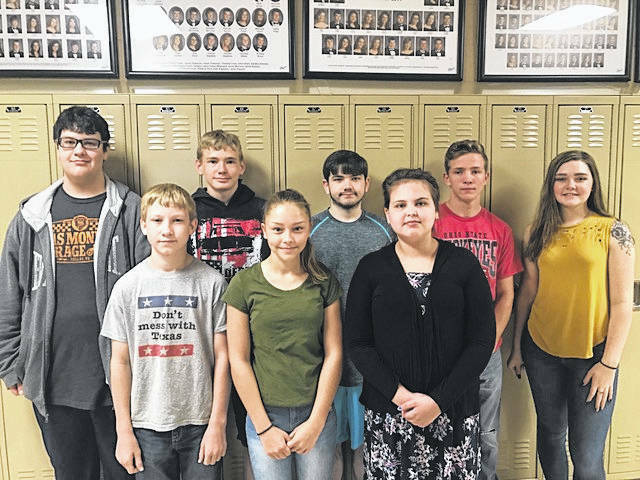 Students of the Quarter at South Gallia Middle/High School for the fourth Nine Weeks. Back row from left: Joseph Mandeville, Ty Walters, Christopher Holley, Greg Davis, and Erin Evans. Front row from left: Reece Butler, Payten Halley, and Mollee Maynard. Not pictured: Courtney Shaw.